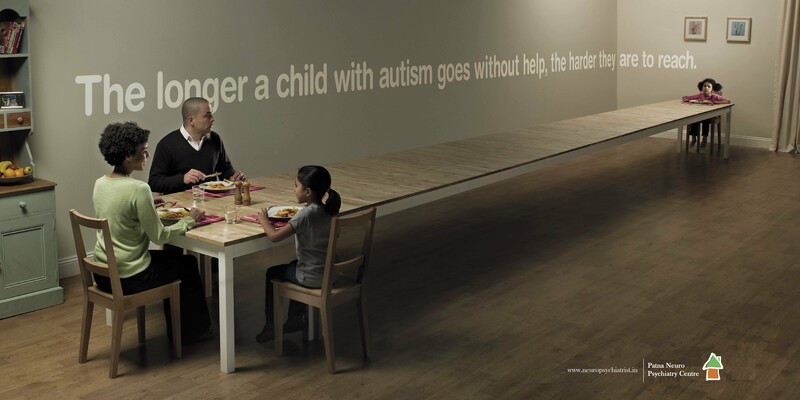 Autism is a serious and complex disorder of brain development. The disorders are characterized, in varying degrees, by difficulties in social interaction, verbal and nonverbal communication and repetitive behaviors. Autism can be associated with intellectual disability, difficulties in motor coordination and inattentiveness as well as physical health issues such as sleep and gastrointestinal disturbances. 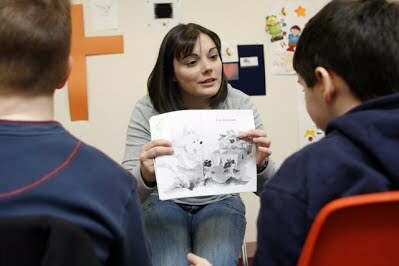 Some child with autism excel in visual skills, music, math and art. Autism appears to have its roots in very early brain development. However, the most obvious signs of autism and symptoms of autism tend to emerge between 2 and 3 years of age. Dr Satyajeet Singh, MD, AIIMS Patna Neuropsychiatrist (ex) is dedicated for research on effective methods for early diagnosis, as well as early intervention with proven behavioral therapies that can improve outcomes. Increasing autism awareness is a key aspect of our effort. A mental health professional is often called upon if these behaviors create a major disturbance at home, at school, or with peers. Seeking treatment for children and adolescents suspected of having ODD is critical. Statistics related to autistic disorder prevalence in India is lacking. Our best prediction is the disorder is quite common. 1 in every 40 children have autistic traits. Also the prevalence of disease have risen in recent years - a ten-fold increase in prevalence in 40 years. Careful research shows that this increase is only partly explained by improved diagnosis and awareness. Studies also show that autism is four to five times more common among boys than girls. Autism spectrum disorder affects over tens of millions children worldwide. 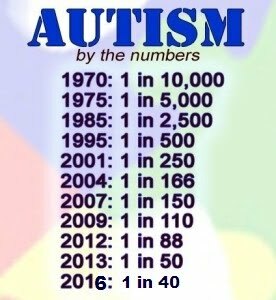 Moreover, government autism statistics suggest that prevalence rates have increased 10 to 17 percent annually in recent years. 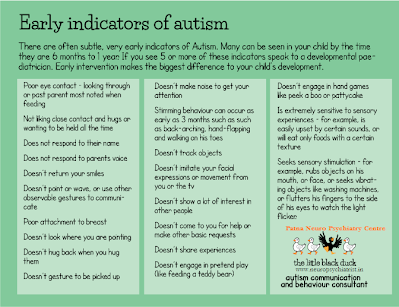 It is important to keep in mind that these factors, by themselves, do not cause autism. Rather, in combination with genetic risk factors, they appear to modestly increase risk. A growing body of research suggests that a woman can reduce her risk of having a child with autism by taking prenatal vitamins containing folic acid and/or eating a diet rich in folic acid (at least 600 mcg a day) during the months before and after conception. Increasingly, researchers are looking at the role of the immune system in autism. we are working to increase awareness and investigation of these and other issues, where further research has the potential to improve the lives of those who struggle with autism. What Does It Mean to Be "On the Spectrum"? Each individual with autism is unique. Many of those on the autism spectrum have exceptional abilities in visual skills, music and academic skills. About 40 percent have average to above average intellectual abilities. Indeed, many persons on the spectrum take deserved pride in their distinctive abilities and "atypical" ways of viewing the world. Others with autism have significant disability and are unable to live independently. About one third of people with autism spetrum disorder are nonverbal but can learn to communicate using other means. 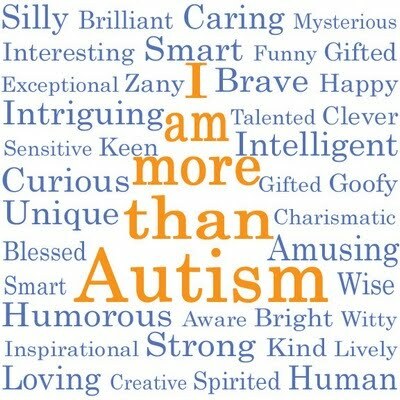 Our mission is to improve the lives of all those on the autism spectrum. 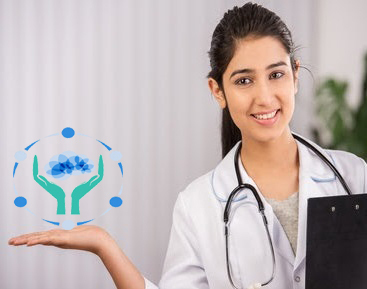 For some, this means the development and delivery of more effective treatments that can address significant challenges in communication and physical health. For others, it means increasing acceptance, respect and support for a child stricken by a serious brain disorder at the early stage of life. Presently, we dont have a medical test that can diagnose autism. Instead, specially trained psychiatrist and psychologists administer autism-specific behavioral evaluations. Often parents are the first to notice that their child is showing unusual behaviors such as failing to make eye contact, not responding to his or her name or playing with toys in unusual, repetitive ways. Recent research confirms that appropriate screening can determine whether a child is at risk for autism as young as one year. While every child develops differently, we also know that early treatment improves outcomes, often dramatically. Studies show, for example, that early intensive behavioral intervention improves learning, communication and social skills in young children with autism spectrum disorders (ASD). What are the symptoms of autism ? Autism spectrum disorders (ASD) are characterized by social-interaction difficulties, communication challenges and a tendency to engage in repetitive behaviors. However, symptoms and their severity vary widely across these three core areas. Taken together, they may result in relatively mild challenges for someone on the high functioning end of the autism spectrum. For others, symptoms may be more severe, as when repetitive behaviors and lack of spoken language interfere with everyday life. Normal infants are social by nature. They gaze at faces, turn toward voices, grasp a finger and even smile by 2 to 3 months of age. By contrast, most children who develop autism have difficulty engaging in the give-and-take of everyday human interactions. By 8 to 10 months of age, many infants who go on to develop autism are showing some symptoms such as failure to respond to their names, reduced interest in people and delayed babbling. By toddlerhood, many children with autism have difficulty playing social games, don't imitate the actions of others and prefer to play alone. They may fail to seek comfort or respond to parents' displays of anger or affection in typical ways. Research suggests that children with autism are attached to their parents. However the way they express this attachment can be unusual. To parents, it may seem as if their child is disconnected. Both children and adults with autism also tend to have difficulty interpreting what others are thinking and feeling. Social cues such as a smile, wave or grimace may convey little meaning. To a person who misses these social cues, a statement like "Come here !" may mean the same thing, regardless of whether the speaker is smiling and extending her arms for a hug or frowning and planting her fists on her hips. Without the ability to interpret gestures and facial expressions, the social world can seem bewildering. Many persons with autism have similar difficulty seeing things from another person's perspective. Most five year olds understand that other people have different thoughts, feelings and goals than they have. A person with autism may lack such understanding. This, in turn, can interfere with the ability to predict or understand another person's actions. It is common - but not universal - for those with autism to have difficulty regulating emotions. This can take the form of seemingly "immature" behavior such as crying or having outbursts in inappropriate situations. It can also lead to disruptive and physically aggressive behavior. The tendency to "lose control" may be particularly pronounced in unfamiliar, overwhelming or frustrating situations. Frustration can also result in self-injurious behaviors such as head banging, hair pulling or self-biting. By age three, most children have passed predictable milestones on the path to learning language. One of the earliest is babbling. By the first birthday, most typically developing toddlers say a word or two, turn and look when they hear their names, point to objects they want or want to show to someone (not all cultures use pointing in this way). When offered something distasteful, they can make clear - by sound or expression - that the answer is "no." By contrast, young children with autism tend to be delayed in babbling and speaking and learning to use gestures. Some infants who later develop autism coo and babble during the first few months of life before losing these communicative behaviors. 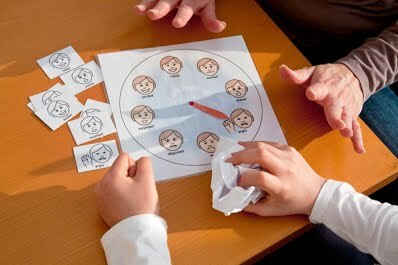 Others experience significant language delays and don ' t begin to speak until much later. With therapy, however, most people with autism do learn to use spoken language and all can learn to communicate. Many nonverbal or nearly nonverbal children and adults learn to use communication systems such as pictures (image at left), sign language, electronic word processors or even speech-generating devices. When language begins to develop, the person with autism may use speech in unusual ways. Some have difficulty combining words into meaningful sentences. They may speak only single words or repeat the same phrase over and over. Some go through a stage where they repeat what they hear verbatim (echolalia). Some mildly affected children exhibit only slight delays in language or even develop precocious language and unusually large vocabularies - yet have difficulty sustaining a conversation. Some children and adults with autism tend to carry on monologues on a favorite subject, giving others little chance to comment. In other words, the ordinary " give and take " of conversation proves difficult. Some children with ASD with superior language skills tend to speak like little professors, failing to pick up on the " kid-speak " that ' s common among their peers. Another common difficulty is the inability to understand body language, tone of voice and expressions that aren ' t meant to be taken literally. For example, even an adult with autism might interpret a sarcastic " Oh, that's just great! " as meaning it really is great. Conversely, someone affected by autism may not exhibit typical body language. Facial expressions, movements and gestures may not match what they are saying. Their tone of voice may fail to reflect their feelings. Some use a high-pitched sing-song or a flat, robot-like voice. This can make it difficult for others know what they want and need. This failed communication, in turn, can lead to frustration and inappropriate behavior (such as screaming or grabbing) on the part of the person with autism. Fortunately, there are proven methods for helping children and adults with autism learn better ways to express their needs. As the person with autism learns to communicate what he or she wants, challenging behaviors often subside. Unusual repetitive behaviors and/or a tendency to engage in a restricted range of activities are another core symptom of autism. Common repetitive behaviors include hand-flapping, rocking, jumping and twirling, arranging and rearranging objects, and repeating sounds, words, or phrases. Sometimes the repetitive behavior is self-stimulating, such as wiggling fingers in front of the eyes. Repetitive behaviors can take the form of intense preoccupations, or obsessions. These extreme interests can prove all the more unusual for their content (e.g. fans, vacuum cleaners or toilets) or depth of knowledge (e.g. knowing and repeating astonishingly detailed information about Thomas the Tank Engine or astronomy). Older children and adults with autism may develop tremendous interest in numbers, symbols, dates or science topics. Genetic Disorders -- Some children with autism have an identifiable genetic condition that affects brain development. These genetic disorders include Fragile X syndrome, Angelman syndrome, tuberous sclerosis and chromosome 15 duplication syndrome and other single-gene and chromosomal disorders. While further study is needed, single gene disorders appear to affect 15 to 20 percent of those with ASD. Gastrointestinal (GI) Disorders -- GI distress is common among persons with autism, and affects up to 85 percent of children with ASD. These conditions range in severity from a tendency for chronic constipation or diarrhea to inflammatory bowel disease. Pain caused by GI issues can prompt behavioral changes such as increased self soothing (rocking, head banging, etc) or outbursts of aggression or self-injury. Conversely, appropriate treatment can improve behavior and quality of life. Please see our treatment section on " Gastrointestinal Disorders. " Seizure Disorders -- Seizure disorders, including epilepsy, occur in as many as 39 percent of those with autism. It is more common in people with autism who also have intellectual disability than those without. Someone with autism may experience more than one type of seizure. The easiest to recognize is the grand mal, or tonic-clonic, seizure. 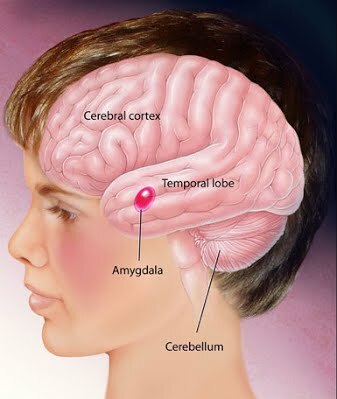 Others include " petit mal " seizures (when a person temporarily appears " absent " ) and subclinical seizures, which may be apparent only with electroencephalogram (EEG) testing. Seizures associated with autism tend to start in either early childhood or adolescence. But they may occur at any time. If you are concerned that you or your child may be having seizures, it is important to raise the issue with your doctor for possible referral to a neurologist for further evaluation. Sleep Dysfunction -- Sleep problems are common among children and adolescents with autism and may likewise affect many adults. Sensory Processing Problems -- Many persons with autism have unusual responses to sensory input. They have difficulty processing and integrating sensory information, or stimuli, such as sights, sounds smells, tastes and/or movement. They may experience seemingly ordinary stimuli as painful, unpleasant or confusing. Some of those with autism are hypersensitive to sounds or touch, a condition also known as sensory defensiveness. Others are under-responsive, or hyposensitive. An example of hypersensitivity would be the inability to tolerate wearing clothing, being touched or being in a room with normal lighting. Hyposensitivity can include failure to respond when one ' s name is called. Many sensory processing problems can be addressed with occupational therapy and/or sensory integration therapy. Pica -- Pica is a tendency to eat things that are not food. Eating non-food items is a normal part of development between the ages of 18 and 24 months. However, some children and adults with autism and other developmental disabilities continue to eat items such as dirt, clay, chalk or paint chips. For this reason, it is important to test for elevated blood levels of lead in those who persistently mouth fingers or objects that might be contaminated with this common environmental toxin. Each child or adult with autism is unique and, so, each autism intervention plan should be tailored to address specific needs. Intervention can involve behavioral treatments, medicines or both. Many persons with autism have additional medical conditions such as sleep disturbance, seizures and gastrointestinal (GI) distress. Addressing these conditions can improve attention, learning and related behaviors. Early intensive behavioral intervention involves a child's entire family, working closely with a team of professionals.This can include parent training with the parent leading therapy sessions under the supervision of the therapist. 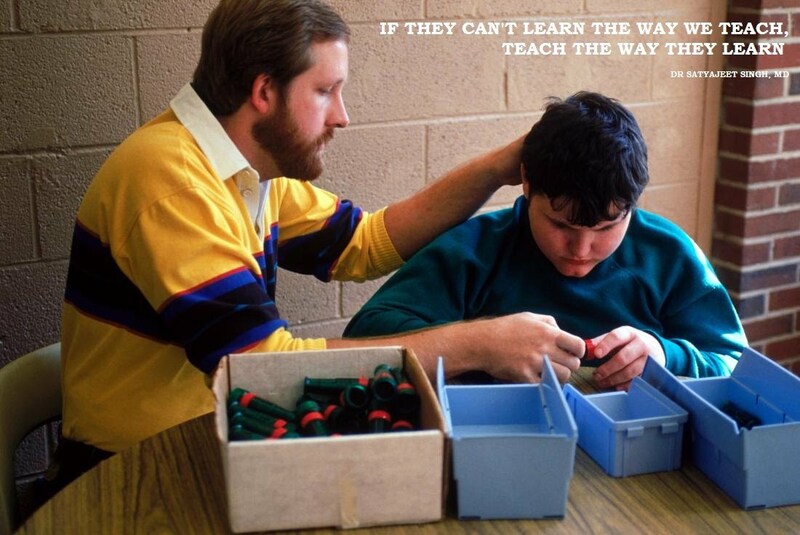 Other programs deliver therapy in a specialized center, classroom or preschool. What Early Intervention Therapies Are Currently Available? Treatment Options for Toddlers and Preschool Children Scientific studies have demonstrated that early intensive behavioral intervention improves learning, communication and social skills in young children with autism. While the outcomes of early intervention vary, all children benefit. 8). The program involves a multidisciplinary team that includes, as needed, a physician, speech-language pathologist and occupational therapist. What is fate of a autistic child ? Growing evidence suggests that a small minority of persons with autism progress to the point where they no longer meet the criteria for a diagnosis of autism spectrum disorder (ASD). 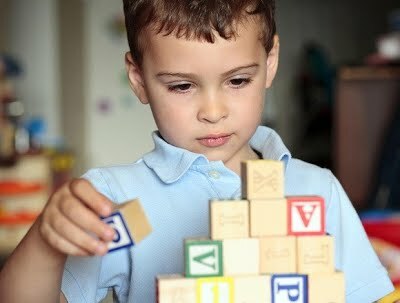 Successful treatment can, in some instances, produce outcomes that no longer meet the criteria for an autism diagnosis. You may also hear about children diagnosed with autism who reach " best outcome " status. This means they have scored within normal ranges on tests for IQ, language, adaptive functioning, school placement and personality, but still have mild symptoms on some personality and diagnostic tests. Some children who no longer meet the criteria for a diagnosis of autism spectrum disorder are later diagnosed with attention deficit and hyperactivity disorder (ADHD), anxiety disorder or a relatively high-functioning form of autism such as Asperger Syndrome. Currently, we don ' t know what percentage of persons with autism will progress to the point where they " lose their diagnosis. " We likewise need further research to determine what genetic, physiological or developmental factors might predict who will achieve such outcomes. We do know that significant improvement in autism symptoms is most often reported in connection with intensive early intervention�though at present, we cannot predict which children will have such responses to therapy. We also know that many people with autism go on to live independent and fulfilling lives, and thatall deserve the opportunity to work productively, develop meaningful and fulfilling relationships and enjoy life. With better interventions and supports available, those affected by autism are having better outcomes in all spheres of life. What Psychiatric Disorder Are Associated with Autism? How They Are Diagnosed & Treated? are the symptoms of autism ? As a group, children and adults with autism spectrum disorder (ASD) have a higher rate of psychiatric disorders than that of the general population. Research suggests that autism shares a genetic basis with several major psychiatric disorders. These include attention deficit and hyperactivity disorder (ADHD), depression, bipolar disorder and schizophrenia. Other research suggests that just over two-thirds of children with autism have been diagnosed with one or more psychiatric disorders. The most common include anxiety, obsessive compulsive disorder (OCD) and ADHD. Decisions on whether to use psychoactive medications in children can be particularly difficult. The classic symptoms of ADHD include chronic problems with inattention, impulsivity and hyperactivity. However, these or similar symptoms can likewise result from autism. For these reasons it ' s important that evaluation be made by someone with expertise in both disorders. While medicines can have a place in treatment, experts stress that they work best in combination with autism-specific behavioral therapies. In addition, all ADHD medicines have side effects. Medicines used to ease ADHD include stimulants such as methylphenidate ( Inspiral,Meth-OD). Other available options include atomoxetine (Attentrol ) and clonidine (Catapres). Stimulants tend to produce side effects such as decreased appetite, irritability, emotional outbursts and difficulty falling asleep. Common side effects of alpha agonists include sleepiness and irritability. Importantly, if a person responds adversely to one of these medicines, another may prove less problematic. On a practical level, this can require trials of several different medicines - each carefully monitored for benefits and side effects. Individuals with ASD may be particularly prone to depression as they enter adolescence and adulthood. Here again, research suggests that depression can be particularly difficult to diagnose in those with autism. ognitive behavioral therapy has shown promise for treating depression in those with autism.None of the medications approved to treat depression have been tested rigorously among children or adults with ASD. Some research suggests that individuals with ASD are at increased risk of side effects from antidepressants. Bipolar disorder may be relatively common among children and adults with autism. Some studies have found that as many as 27 percent of those with autism may have bipolar disorder. By contrast, its prevalence in the general population is around 4 percent.Psychiatrists often prescribe psychoactive medications to treat bipolar disorder. Lithium is one of the most common. Studies suggest that anti-seizure, mood-stabilizing medications such as valproic acid may be safer treatments for those with autism. The atypical antipsychotics risperidone and aripiprazole are both FDA-approved to treat irritability in children with autism age 6 or older. They may help bipolar symptoms. OCD is most commonly treated with SSRI antidepressants such as Prozac, Luvox, Paxil and Zoloft. Schizophrenia affects around 2 percent of those with ASD. This is around double schizophrenia ' s prevalence in the general population. The symptoms of schizophrenia tend to appear in early adulthood. Childhood schizophrenia is rare.Although the two disorders are distinct, they share certain features such as social withdrawal and impaired communication. This can lead to problems in diagnosing schizophrenia in individuals with autism. Second generation antipsychotics like risperidone, aripiprazole have produced significant benefit in treating core symptoms of both disorders.